After surviving a hectic few weeks, I'm back with a blog post! 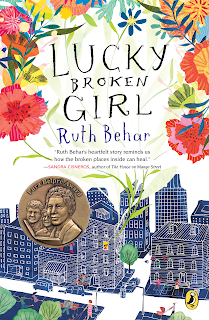 This week, I am recommending Lucky Broken Girl by Ruth Behar. I adored this book! I'm always happy when a novel sheds new light on other people's experiences, and this novel is no exception, revealing the trials and tribulations that Ruthie undergoes due to her injuries. These range from being unable to play with (or sometimes even see) her friends to being terrified of learning how to walk again when she can finally get her cast removed. Behar does a good job of illustrating the immense amounts of sadness that Ruthie experiences while also balancing them with happier moments (although some of those happier moments did not actually happen to Behar, who wrote the novel mainly as a memoir of being in her own body cast but with some fictional touches). These happier touches include Ruthie's kindhearted friends, such as Ramu, who was Ruthie's only friend in her class at school (it was the class for less intelligent students, but they were there simply because they initially struggled with English), and Danielle, a girl who Ruthie admired and enjoyed playing with but who struggled after seeing Ruthie in her cast. She is also helped through her struggles by other neighbors, family members, medical staff, and new hobbies, such as typing out stories and drawing. The last thing I want to mention is the diversity of this book. Characters come from numerous different countries (Cuba, Mexico, India, and Belgium to name a few), and their religions, foods, and life stories are all spotlighted at one point or another, making the novel incredibly lifelike and fun to read. 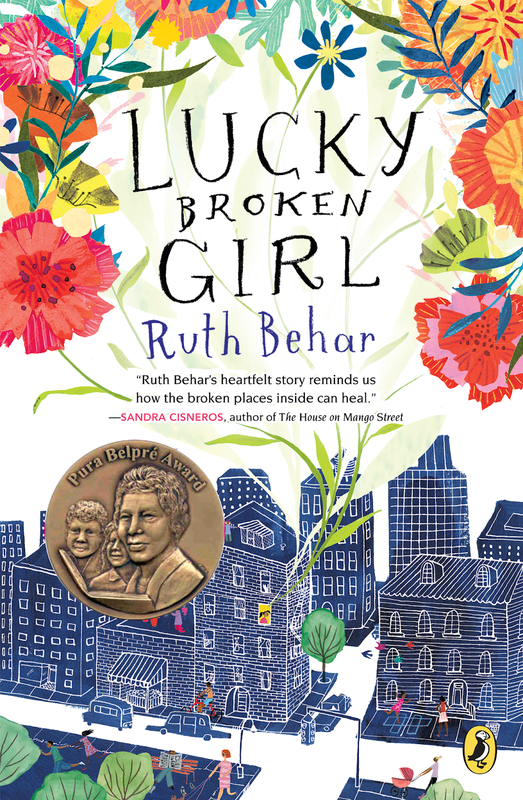 Lucky Broken Girl's combination of the sadness from overcoming an injury and the happiness from knowing that others care about you makes it an inspiring read that everyone will enjoy!